Amblyopia is the medical term for what is commonly called “lazy eye.” Amblyopia results from the failure to develop clear vision in one or both eyes even with glasses in the absence of disease. Typically, one eye sees more clearly than the other but sometimes both eyes are affected.Amblyopia prevents healthy binocular vision. Binocular (literally, “two-eyed”) vision occurs when both eyes see similarly, and the brain can easily combine the images produced by each eye into a single, 3D image. In order for amblyopia to develop, a specific set of conditions has to be present. The nature of these conditions will determine the type of amblyopia that occurs. Generally speaking, the key factor required for the development of amblyopia is a significant and consistent discrepancy between the functionality of each of the two eyes. 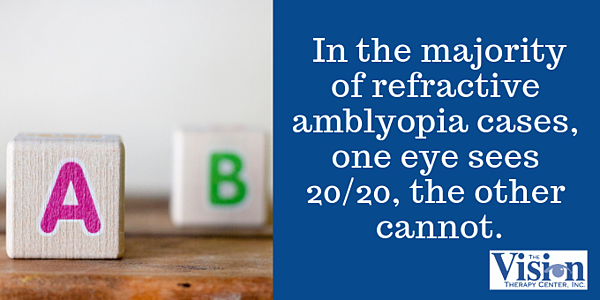 In the majority of refractive amblyopia cases, one eye sees 20/20 with or without glasses. Meanwhile, the other eye typically requires a high prescription, most often for correcting farsightedness, or hyperopia, and/or astigmatism. Unlike the other eye, it cannot achieve 20/20 vision even with the correct glasses prescription. Large differences in vision/prescriptions between two eyes is known as anisometropia. Amblyopia can develop because the brain becomes accustomed to using the vision of the functionally normal eye and ignoring the vision in the other eye, which is called suppression. 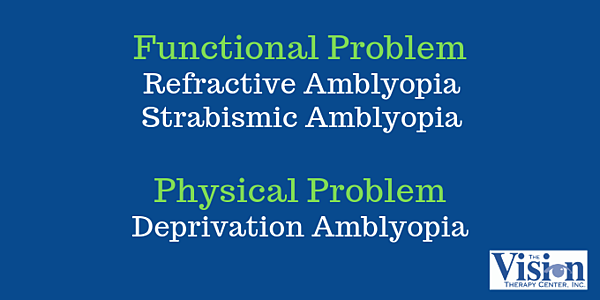 Less commonly, amblyopia can occur in both eyes if the person has a very high, but similar, prescription in each eye. This is called bilateral amblyopia. Even in cases in which both eyes see poorly due to amblyopia, one eye will usually still perform functionally better than the other. Strabismus is the medical term for what is commonly referred to as “crossed eyes.” In a normally functioning visual system, the two eyes work as a team. A person who has strabismus experiences an eye turn or an eye misalignment that interferes with the skill of eye teaming and causes a functional vision problem. 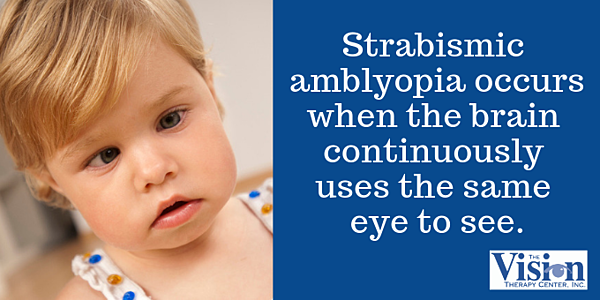 Strabismic amblyopia occurs when the brain continuously uses the same eye to see and doesn’t use the other eye because it is always turned (in, out, up, or down). If an eye turn is only intermittent, or if the person alternates which eye is turned, strabismic amblyopia may not occur. Deprivation amblyopia is caused by reduced vision in an eye due to a physical problem such as a cataract or corneal opacity. For example, occasionally a baby is born with a cataract in one or both eyes. If the cataract isn’t identified and successfully removed right away, it can affect the development of binocular vision and clear eyesight in the affected eye(s). Refractive amblyopia and strabismic amblyopia are functional in nature. In other words, they generally do not occur because of a physical problem with the eye or eyes but rather because the function of the visual system has been compromised due to poorly developed visual skills. Deprivation amblyopia, on the other hand, occurs because there is a physical problem in the eye -- like a cataract. Simple observation alone is usually not enough to detect amblyopia, although difficulty with depth perception---e.g., trouble catching objects, frequently bumping into things---can be seen. However, amblyopia is easily detected with a Functional Eye Exam, which is why it’s extremely important for children to be seen for an exam from the first year of life onward. 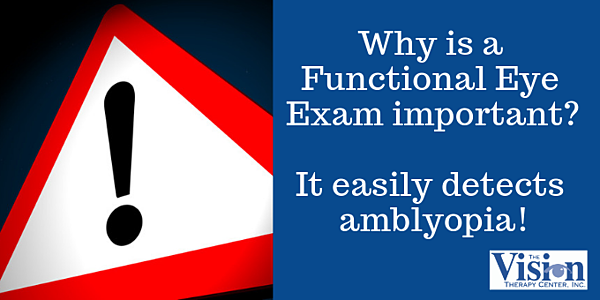 If amblyopia is not detected in an exam, children can go for years before anyone notices there is a problem. A child who has poor depth perception resulting from amblyopia may not even realize their vision isn’t functioning normally. Because they’ve never experienced binocular depth perception, they have no frame of reference to judge their vision against. Conventional ways to treat the condition may include prescribing glasses and then “patching,” or covering, the eye that sees clearly. 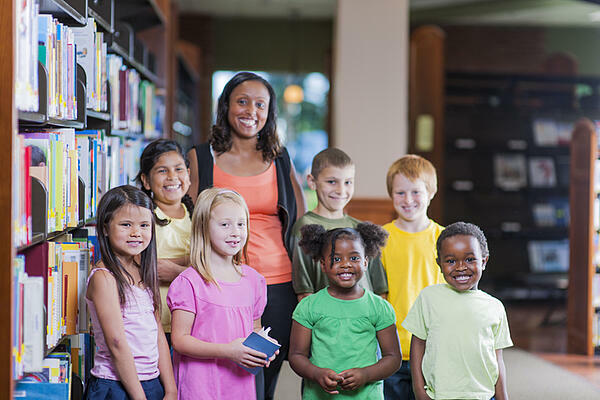 Studies have shown that combining vision therapy with patching is a more effective treatment for amblyopia in children and adults than just patching alone. While patching can be effective in improving a person’s eyesight (and there is a difference between eyesight and vision), it’s only addressing a small part of the much larger problem: poor development of binocular vision. Vision therapy addresses the larger problem by training the brain to use both eyes in order to develop healthy, binocular vision.